Order in next 4 hours and 8 minutes for despatch today. 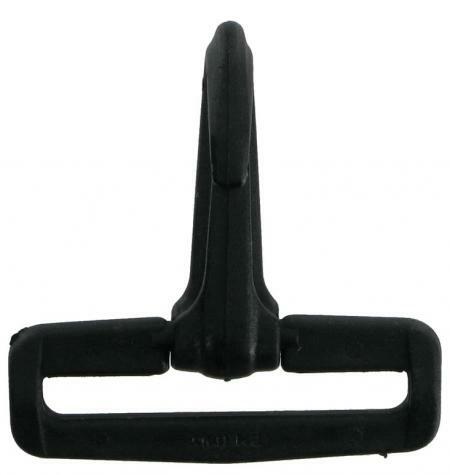 This replacement snap hook suits many shoulder straps and is produced from tough nylon. It comes in a black finish only. It will accommodate a strap of 2 inches (50mm) in width. Overall length 61mm.